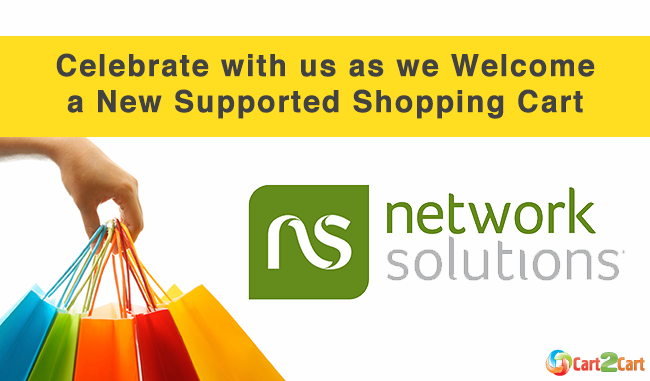 In order to prove our unconditional love to the clients, we’ve decided to present them with yet another valuable gift - the support of Network Solutions. This easily manageable, mobile optimized e-Commerce plugin can become a good solution for the site owners who want to try their chances in online business. However, platform’s somewhat limited functionality along with the fee for each single transaction disposes many merchants to abandon it, and migrate data to other progressive shopping carts, instead. Thus, If you’re one of the online shop owners, looking for a secure and easy way to improve an e-Commerce store - you are in luck. From this day forth, Cart2Cart provides transfers from Network Solutions to any of 60+ progressive shopping carts. The migration procedure is fully automated, so you’ll be able to move data to the platform of your dreams with little effort, in no time. Additionally, we’ll give you a chance to test how your store looks on other popular carts absolutely for free, through our Demo MIgration. So, stop hesitating, register a new Cart2Cart account, migrate from Network Solutions and become one step closer to e-Commerce prosperity.